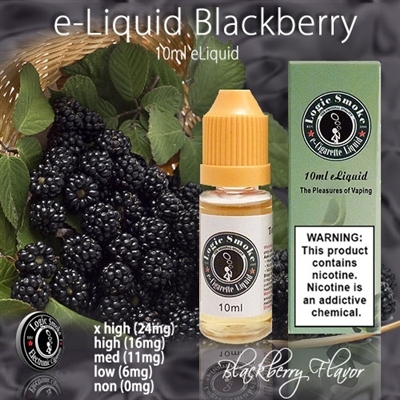 Vape Blackberry flavored electronic cigarette e-liquid alone in your favorite e-cig unit or mix with one of our other yummy flavors of e-liquid. Mix with Cream flavored e-liquid for some fresh berries and cream. Or with Cheesecake for a delectable pastry treat, without all of the calories. The flavor combinations are endless.